Rio and I had our first jump lesson since the show on Saturday. I was feeling a bit “meh” about the whole thing honestly. Not that I didn’t want to ride or to jump, I just felt a little jumped out from the show I think, and was more in a mood to relax. 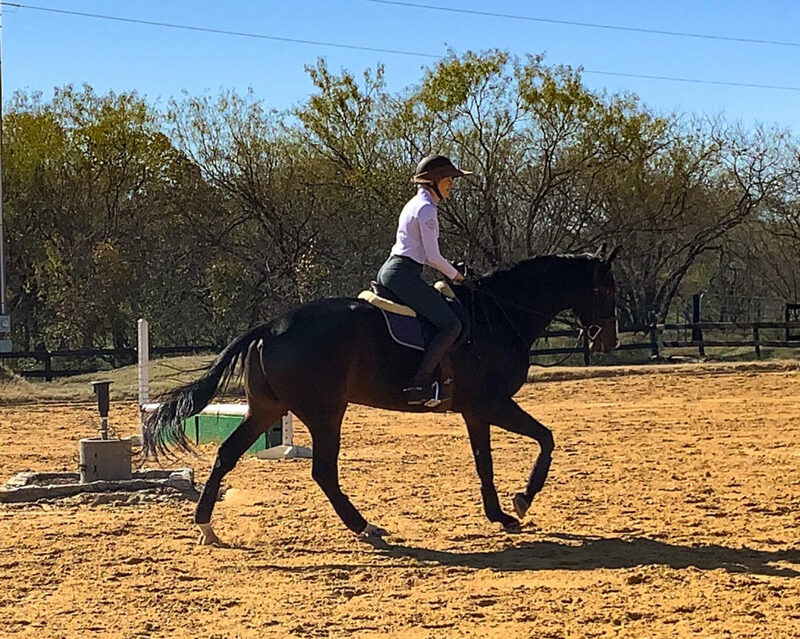 We started the lesson with some good flat work which I really enjoyed, during which point my trainer moved my stirrup position on my foot. 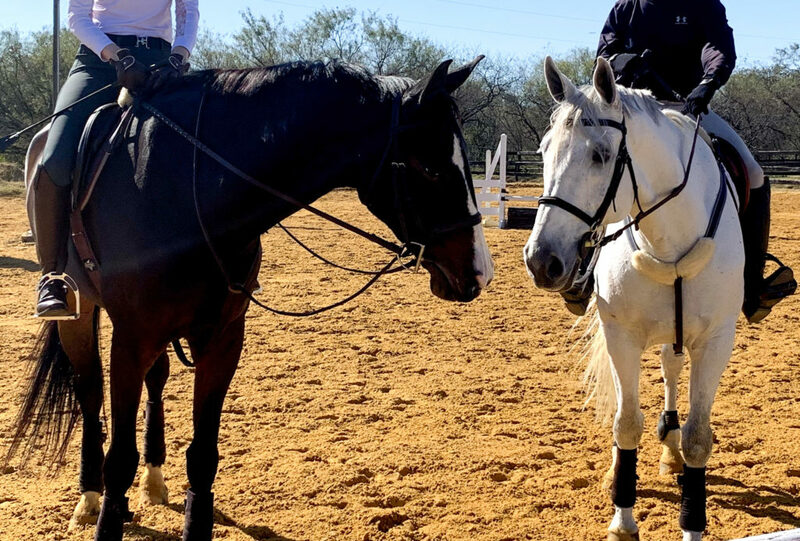 She had been saying before the show that I tend to ride with the stirrups too close to my toes, and she thinks it is making me brace my legs a bit. 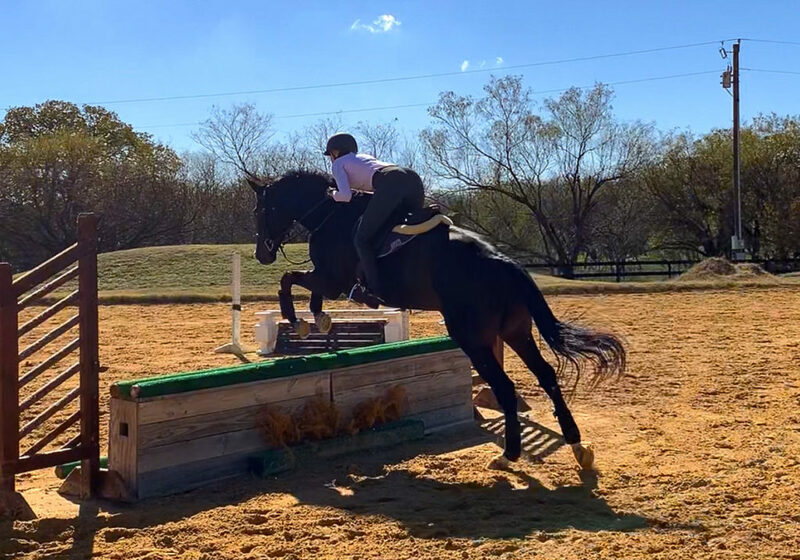 I also think she didn’t want to change things right before the show, so she let it slide at the time, but didn’t waste any time changing it during out lesson! It felt WEIRD. I haven’t changed anything this major about my position in a long time. But, it didn’t feel wrong, just very different. I actually felt relaxed, and more balanced then before,which I was pretty surprised by. If you look at the pics closely you might be able to see that my stirrups are way further back on my foot then normal. 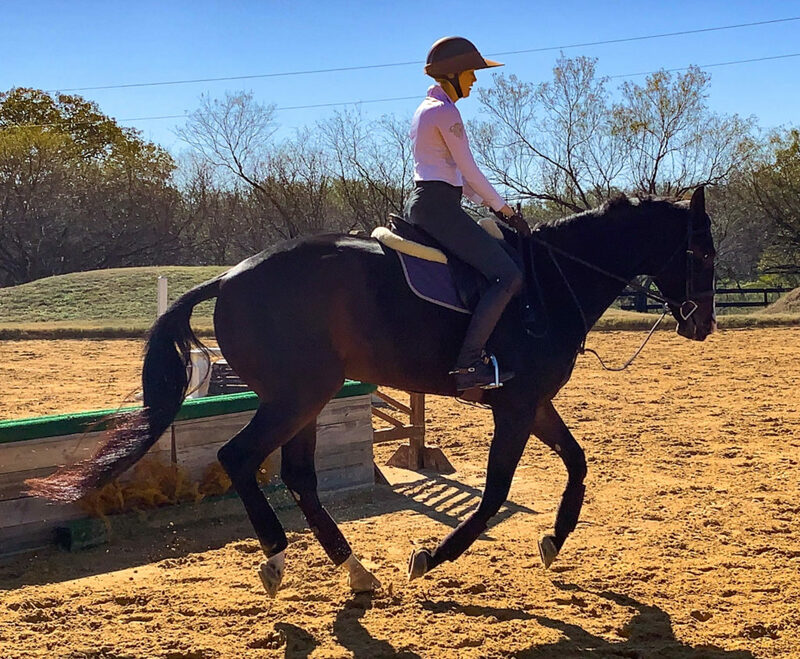 I honestly think my laissez faire attitude about the whole lesson helped me not over think the change in stirrup position, and just ride more relaxed over all. Since I wasn’t trying so dang hard every step of the way, I was softer overall and Rio seemed to really respond that it. We also did the dreaded Circle of Death exercise, which went surprisingly well. I initially tried to use a ton of outside rein to force his shoulders around, which was not really working that well. 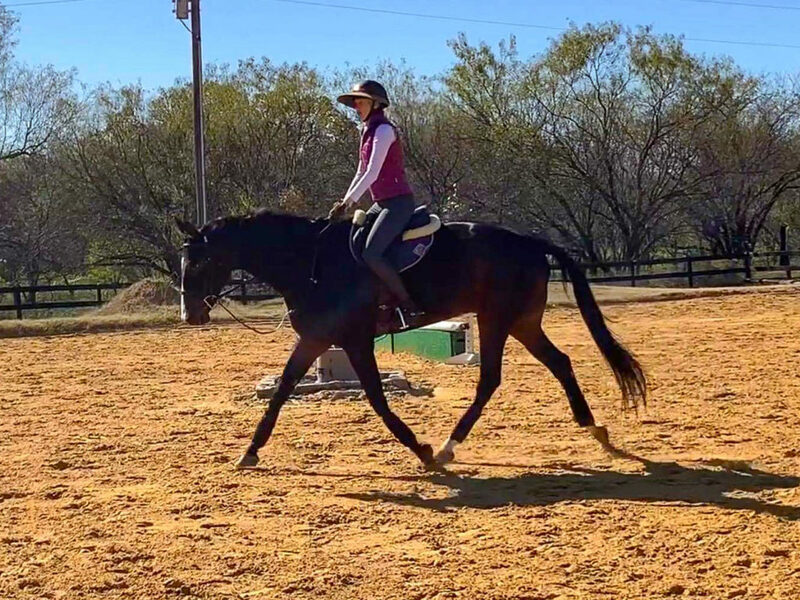 My trainer told me to treat him more like a baby horse and break it down by just turning his nose in with my inside rein and allowing his body to follow. If I felt like he was sliding out his outside shoulder, to just apply more outside leg. I was pleasantly surprised when this worked and made the exercise a million times simpler. Rio responded to the very clear instruction and easily went around the circle. Sometimes the simple aids are the best aids! 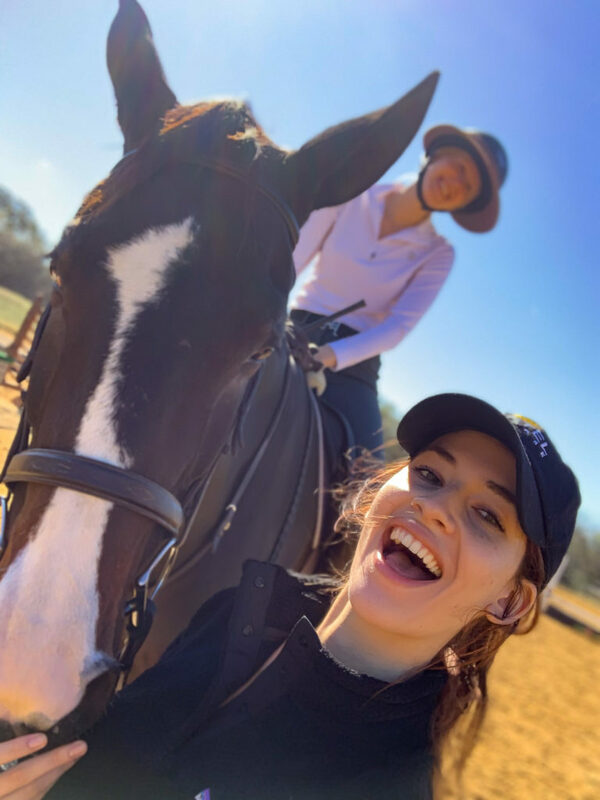 Sunday we went for a leisurely hack where we trotted and cantered on a loose rein and I let him do a lot of stretching while watching 2 of my barnmates lesson. Even though the temp was 37 and a a feels like temp of 28, Rio was perfectly calm and happy to have an easy day. Anyone else get in some good rides this weekend? I have lots of video from the lesson as well but I cannot figure out how to upload it at the moment. Hopefully I have it ready to post tomorrow! As always, a HUGE thank you to Liana for getting all of this amazing media! Is Texas supposed to be that cold?! Brrrr! Glad Rio wasn’t amped up by the cold weather! No it definitely is not haha! We are finally back to normal temps in the 50s and 60s thnkfully!